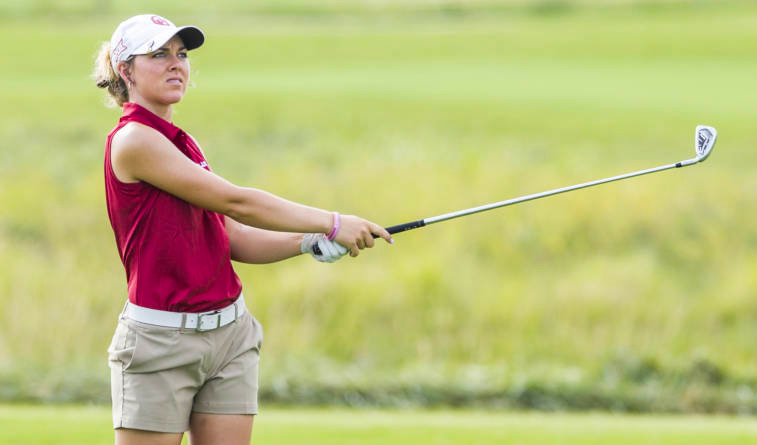 NORMAN – Oklahoma senior Hannah Wood was named the Big 12 Co-Women’s Golfer of the Month for November, the conference announced Wednesday. Wood led the Sooners to a second-place finish in the Battle at the Beach in Cabo San Lucas, Mexico (Nov. 3-5) in the team’s only November tournament. The senior shot a 4-under 209 to tie for fourth place and secure her second top-10 finish of the fall season. OU carded a three-round score of 842 (-10) in the event to finish just three strokes behind UCLA, who entered the tournament ranked No. 1 in the Golfweek/Sagarin Rankings. Wood tied for fourth at the tournament with Sophia Schubert of Texas, who was also named Co-Women’s Golfer of the Month for November. The individual honor is the second by a Sooner this season. Junior Julienne Soo was the Big 12 Women’s Golfer of the Month in September. The Sooners resume play when the spring portion of their schedule begins on Feb. 25 at the Westbrook Invitational in Peoria, Ariz.